Our Offical License as a Wholesale Agency (Tour-Operator) allows us to work without intermediaries. The Camino de Santiago (or Way of Saint James) from Sarria is the most popular section of the entire Camino de Santiago. This section, from Sarria to Santiago, is perfect for those pilgrims who want to capture the essence of the Camino de Santiago. In this section, we will have the opportunity to venture off on many pleasant hikes, all while getting to enjoy the wonderful local cuisine. This route is ideal for meeting other pilgrims and immersing ourselves in the incredible natural setting that will accompany us throughout the entire Camino. We depart from the Galician town of Sarria, which is located about 100 km away from Santiago. The distance from Sarria to Santiago is around 100 km, which is the minimum distance required for pilgrims to receive the traditional “Compostela” certificate, verifying they have done the Camino de Santiago. In this section we will walk through beautiful forests, farmlands and rustic villages following trails and paths that are surrounded by stonewalls. We will be able to admire the beautiful green landscape that is so characteristic of Galicia. At the end of this stage we will reach our destination: Santiago de Compostela. In Santiago de Compostela we can receive our “Compostela” certificate and visit the city’s beautiful old town, which has been declared a UNESCO World Heritage Site. In Sarria we will have the opportunity to visit the town center where we will find beautiful churches, chapels, monasteries and pilgrim hospitals. Sarria’s main street, rea Maior, is picturesque and serves as a great place for getting a coffee. We recommend visiting the Church of Santa Mariña with its evocative pilgrim mural, the Castle and Fortress of Sarria, along with the Monastery of La Magdalena. We will go on a relaxed hike through beautiful towns and quiet villages walking along country roads under the shade of oak trees. Along the way we will find traditional Galician granaries. We recommend visiting the Romanesque church in the town of Barbadelo. If we’d like to make the walk easier, we can choose to divide this route in 2 and spend the night in the beautiful village of Ferreiros. Once we leave the beautiful town of Portomarín, the Camino de Santiago crosses the Miño River and begins its ascent to the Serra de Ligonde. We will cross through beautiful villages such as Gonzar and Ventas de Narón. We definitely have to make a stop at the Romanesque Church of Santa María de Castromaior and at the Romanesque Church of Eirexe, where we can admire a sculpture of Santiago the Pilgrim. We can make this route easier by dividing it in 2 and spending the night in Ventas de Narón. We will continue on the Camino de Santiago walking among beautiful rural trails until reaching Coto, where we will continue to walk up and down many hills surrounded by many beautiful locations, such as the Iso River in Ribadiso. This route is ideal if you want to walk at a more relaxed pace from Palas de Rei to Arzúa. We will be staying in a charming hotel in the town of Melide. Today’s section of the Camino de Santiago will pass through beautiful forests, quiet villages and lovely streams. We will have the opportunity to visit the Chapel of St. Irene with its famous statue of Santiago. We will also cross through the beautiful village of Rúa, following rural trails until we reach Amenal. There is also the possibility of making this route more relaxed by spending the night in Rúa. Once we leave Amenal, the next destination will be Lovacolla on the outskirts of Santiago de Compostela, where the pilgrims used to wash in the river in preparation for their arrival to the city of Santiago de Compostela. We will continue our pilgrimage along the Monte do Gozo hill, from where we can already see the Cathedral of Santiago. Once we reach Santiago, we will get to admire its rich local architecture and let ourselves be captivated by its historic center that has been declared a UNESCO World Heritage Site. We must arrive to Santiago in time in order to participate in the daily Pilgrim’s Mass. A few meters to the right we walk uphill to Burió followed by Collado de Hoz, with a panoramic view of the beautiful Lamasón valley. The French Way ends in Santiago de Compostela. We recommend visiting the city center before returning home, so please feel free to ask us about additional nights or day trips through the city’s historic center. Day trips to Finisterre or the Cíes Islands are also recommended. 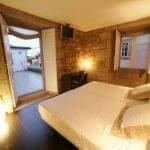 Accommodation in hotels, country homes, guesthouses, traditional Galician homes and charming hostels. 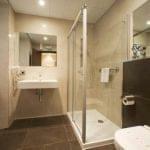 All rooms have a private bathroom and all the necessary facilities to ensure your comfort. Our accommodations have been selected to guarantee your rest and relaxation so that you have a pleasant stay along the Camino de Santiago. All of the accommodations that we offer are personally checked on-site by our team. We also double check them by referring to the opinions of our customers. 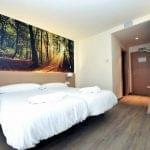 Since we work with quality accommodations that have limited capacity, the exact name of the accommodation will be provided 30 days before the start of the Camino de Santiago. 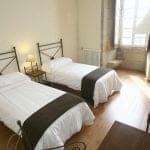 Accommodation in hotels, traditional Galician homes, country homes, and charming hostels. Meal plan of your choice. Complete itinerary of the route. 24 hours Telephone assistance on route. Assistance vehicle in case of emergency. Informative dossier on the Camino de Santiago. 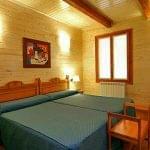 Additional single room: €165 per person. Supplement of 5 picnics (sandwich, drink and dessert): 63€ per person. Extra night in Santiago(breakfast included): €65 per person. Transfer from Santiago (includes airport) – Sarria: 145€. Travel assistance insurance: €18 per person. Cancellation insurance: €18 per person. We bring you a guide on Camino de Santiago from Sarria. In it, we will talk about the most noteworthy aspects of this route as well as the characteristics that make it unique and ahead of others. 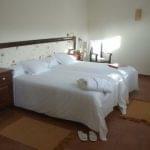 At the same time, we also provide a number of places of interest and sites to sleep and eat. All this from the experts at Santiago Ways and the best way to complete the Camino de Santiago enjoying an unforgettable adventure. Why choose the Camino de Sarria to Santiago? 1.- It is a very simple route: The Camino de Santiago from Sarria is a perfect choice for those who want to start on pilgrimage routes. It is ideal for those who do not want to risk trying a more difficult path. 2.- partly related to the previous reason, it must be said that the Camino from Sarria to Santiago has a very simple profile. As detailed below, it is not excessively high nor has too many slopes. This is why it is ideal for any age, both young and old. 3.- It has very good infrastructure: one of the most noteworthy things about the route from Sarria to Santiago is the good infrastructure with which it counts. Indeed, it is a very well prepared way for pilgrimage, it has enough shelters, good signs, good places to eat and, in general, all the attention that should be required by pilgrims. 4.-It can be done very quickly: Another reason why it is a good idea to complete the Camino from Sarria to Santiago is that it takes very little time to complete. In fact, you may complete it in just five days. This can be reduced to 3 days or even 2 in the case of completing it on the bike route. For those who walk with a tight schedule, it is also a good alternative. 5.- The monuments: The monuments that we can see on this route from Sarria to Santiago make it a highly recommended option. 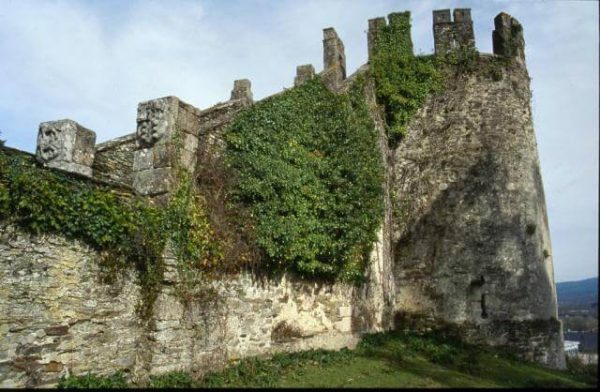 To give you an idea of what we say, only in Sarria, we have impressive places such as the Tower of the fortress or the Church of Santa Marina, of which we will talk later (along with other places of interest) in the section dedicated to it in our Guide to the Camino de Santiago from Sarria. Sarria is a municipality in the province of Lugo and from where we can start the Camino to Santiago de Compostela. In fact, between the two cities, there is a distance of 100 kilometres. 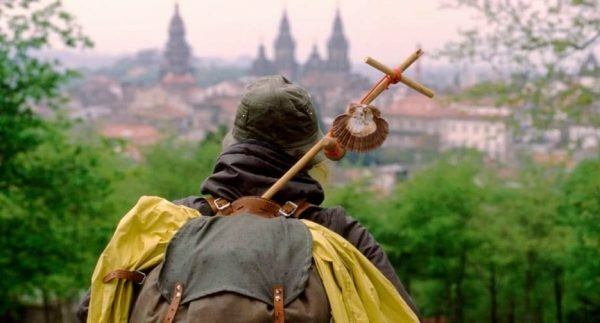 This distance has a special meaning because with it we can get the Compostela that credits us as accomplished pilgrims. Therefore, it is a very practical and affordable route for those looking for a few days alternative and simple to do. Its popularity is on the rise although it does not have as much crowding as other possible routes of the Camino de Santiago. Also, we want to say that this route is ideal for practising with children and also for older people thanks to the low-level difficulty that it implies. It is, therefore, a great way to get into the world of the Camino de Santiago. They are the last 100 kilometres of many of the routes that, from further back, form the Camino de Santiago. 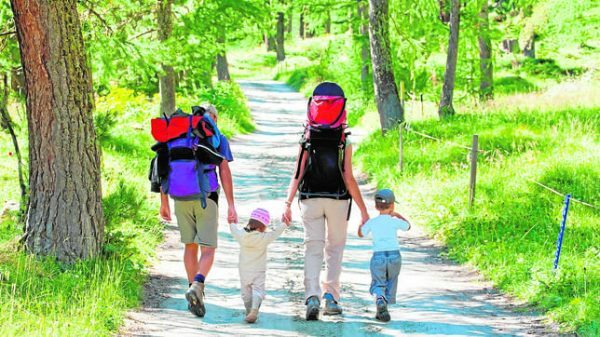 In the case of the Camino de Santiago from Sarria, there is a unique alternative that you can enjoy to the maximum with the organization of Santiago Ways. In fact, we offer you the possibility to elaborate your plan from Sarria to Santiago offering you not only the best accommodation in houses and rural hotels where you will be treated with the best attention and comfort, but also given detailed planning of the whole route. The total distance will be about 100 kilometres that are divided into five stages that can be completed in a simple way. As part of our guide to the Camino de Santiago from Sarria, we want to talk about the profile of this route between Sarria and Santiago. With this, we refer to aspects such as the average altitude, its difficulty and also its infrastructure. All this will help us to get an idea of whether it is advisable to do it, or not, depending on the experience we have as pilgrims. In general, we must say that the Camino from Sarria to Santiago has a great position for sharing with the majority of routes between the different places of departure and Santiago de Compostela. At the same time, it doesn't have a lot of uneven land, and none of its stretches are complicated. The terrain is good and well kept. Stage from Sarria to Portomarin. Stage from Portomarin to Palas de Rei. Stage from Palas de Rei to Arzua. Stage from Arzua to O Pedrouzo. Stage from O Pedrouzo to Santiago de Compostela. How long does it take to go on the Camino de Santiago Frances from Sarria? As we have said, with Santiago Ways, the planning for the Camino de Santiago from Sarria gives us a total of five days of pilgrimage. That includes his six nights, of course. However, the time that we take in doing this and any other route can always be subject to change. 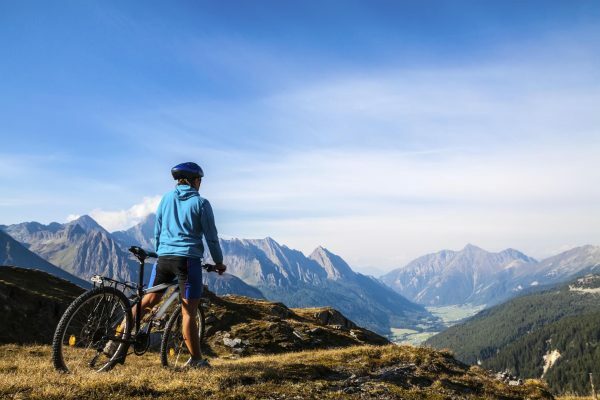 These changes can depend on a number of factors: weather conditions, our own rhythm or our own desire to stay at some particular point to enjoy more of the scenery. The choice of how long you want to take depends on you: The important thing is that you enjoy it. Also within this guide, we want to talk about the best time to make the way from Sarria to Santiago. We will talk about what the advantages and drawbacks of each one are. Either way, you also have to keep in mind that each person is an individual and everyone has their preferences. Spring is the best time to complete the Camino de Santiago from Sarria. In fact, the weather will be calm and the extremes of winter and summer will be far away. However, we must also bear in mind that the weather can sometimes be unstable. This can always be avoided with more planning as well as with the services of Santiago Ways: willing to take care of you at all times. Summer is the ideal time for many pilgrims when it comes to making the Camino de Santiago from Sarria. It is in the first place because it is when usually have more time to complete a route of several days. Secondly, it is also popular because it is the time of year in which more hours of daylight are available at the end of the day. With this, we can organize the stages at a slower pace thanks to having more time. However, one drawback of the summer is that it has greater overcrowding in the lodgings. 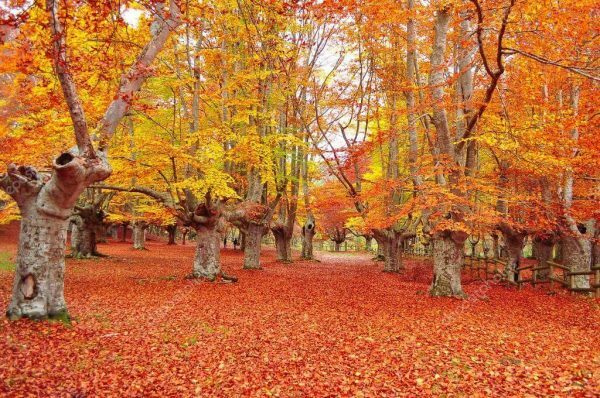 Autumn is another of the ideal times along with the spring to do the Camino de Santiago from Sarria. Again, we will be far from the extreme temperatures and at the same time, we can enjoy a beautiful landscape thanks to the typical colours of this season. One negative factor can be the instability of this season that can always be avoided with better planning and especially with the help of Santiago Ways. Winter is the season with the least influx of the whole year for the Camino de Santiago. It is therefore when we can encounter more peace and tranquillity. It must be said that, in the case of the Camino from Sarria to Santiago, the climatic conditions will be calmer because in those 100 kilometres there are no mountain areas. The rain on the Camino to Santiago can be a negative point which we must always take into account in spite of everything. In this guide of the Camino de Santiago from Sarria we wanted to include also some places of interest that you cannot miss. Also, we'll tell you about the best places to eat. On the topic of accommodation, we have to say that everything is in the hands of Santiago Ways. As we have said before, we offer you the best accommodation in houses and rural hotels of the highest quality so that you have all the comfort you deserve. The officials put in charge by the King to impart justice in the region lived in this house from medieval times until the 18th century. It is, therefore, an architectural, historical and cultural complex that you cannot miss on this route between Sarria and Santiago. 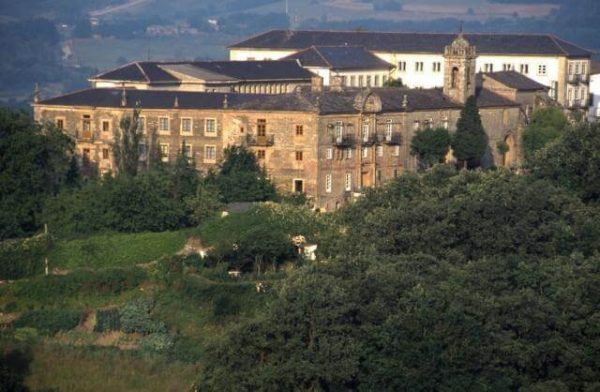 Already in the section that it shares with the Camino Frances is this 12th-century Monastery, a key enclave on the Camino de Santiago and its history. As for natural landscapes, this is, without a doubt, one of the most spectacular on this route. It is especially advisable to enjoy it during the autumn, admiring the great symphony of colours that are produced. 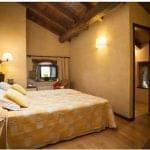 With Santiago Ways, you will always stay in the best hotels and cottages. We take full care of your experience so you don't have to go through a bad experience that happens if you find bad accommodation throughout your pilgrimage. We also want to recommend a number of restaurants to eat. It is a very important aspect in the Camino de Santiago from Sarria if we want to replenish our strength and enjoy all the rich gastronomy of this region. 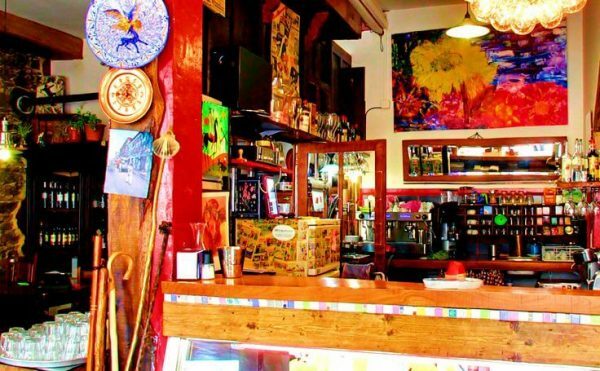 Restaurant Matías Locanda: Located in Sarria, offers the best of the region's gastronomy at an affordable price and in a very pleasant atmosphere. Arzúa Cheese Fair: during the month of March, normally throughout the first week, we will be able to enjoy in Arzúa, its cheese fair. If you go during those dates, try to match your visit with this event. You won't regret it. Mar de Plata Restaurant: Also located in Sarria, offers the specialities of seafood and Octopus prepared with all the tradition and character of Galician cuisine. In general, in the Malecón Promenade area, we can find very good and decent places to eat with good value for money. The Camino de Santiago from Sarria is as old as the Camino de Santiago itself. In fact, we could say that it is actually just a stretch of it. In particular, the last 100 kilometres. So, we will talk a little about what their origins are in general to understand what has been the historical importance of both of them and of course the Camino from Sarria to Santiago. This route began after the discovery of the Holy Sepulchre of James the Apostle. It was with King Alfonso II that he moved the Sepulchre and began the pilgrimage to the city of Santiago. The first pilgrim was King Alfonso II himself. Although the first pilgrimages that followed those of King followed the Camino Primitivo, it later gave way to a much more passable route that is precisely what we know today as the Camino Frances. It is here precisely where the Camino de Santiago from Sarria makes its appearance: it consists of the last 100 kilometres of the most popular way of all the options available when completing the Camino de Santiago. With time, and as the Reconquista progressed, the road was branching as it gained ground. The Camino Frances and of course the route from Sarria to Santiago was one of the most important and it was also linked forever to the history of Europe as it also became a major commercial route. Since its inception, there have been millions of people who have made the pilgrimage. Join the Experience! We also enclose the opinions of other users who have completed the Camino to Santiago from Sarria. Santiago Ways made my memorable hike trouble-free. I had excellent hotels, tasty breakfasts, dependable baggage forwarding, informative advance information, and a dependable drive to deliver me to Sarria. I really appreciate their attention to detail! We booked our El Camino with Santiago Ways and we were very lucky to have Silvia as our agent. She did a fantastic job organizing our trip, always promptly responding to our inquiries, impeccable English, all accommodations that she arranged for us were great, and our luggage was always delivered to the next location timely, before our arrivals to sites. I would definitely recommend Santiago Ways and ask for Silvia to be your representative. This trip changed my life in ways I could not describe! I knew the hiking was going to be a challenge, but Santiago Ways made it so easy to plan and execute. They are truly the best and I am already planning my next trip with Santiago Ways and would not think of going anywhere else. Silvia Rivera was particularly helpful in the planning, as she answered all my questions patiently, and help me through the process. Great job, Guys, and I will see you next year! Have just finished El Camino de Santiago from Sarria with the help of Santiago Ways. They have been extremely accesible from day one. The transfer of the luggage throught the five days was impecable, always finding the luggage in the room on every stage of the way. The food and lodging was very acceptable. If I were to do it again I would not hesitate to contact them once more for their assistance! "Buen camino". Our experience with Santiago Ways was flawless. We highly recommend this outfit for your Santiago way experience. A perfect 10! Simply put - an incredible experience! This agency looks after every last detail. I walked the last 100 km of the Camino with their help and I definitely want to go back soon and do a longer part of the route. When that happens (which I hope is soon) I'll definitely be using Santiago Ways again! Thanks for everything. Here you can see all the stages of the Camino de Santiago. In Santiago Ways, we will advise you on which route of the Camino de Santiago is the best fit for you. You can choose to do the Camino on any day of the year. You don’t have to book your trip a minimum number of days in advance. However, depending on the dates, the Camino can be extremely busy, so we recommend confirming the reservation as soon as possible in order to guarantee availability. We are a Travel Agency specializing in the Camino de Santiago, with years of experience and thousands of satisfied customers. Our customers are our best ambassadors. Choose your next Camino de Santiago trip and we will organize it for you any day of the year.